Judge Bauer’s decision should be lauded for holding a mirror in front of the ruthless, chaos-sowing despot that America has become. It’s not often that private individuals take on the entire State Department and win resounding victories in courts. It’s even rarer for the Justice Department to receive scathing legal judgments issued against it that openly accuse top-level employees of orchestrating politically motivated trials on sham charges. Yet this is exactly what happened last month when an Austrian High Court judge refused to hand over to the FBI one Dmitry Firtash, Ukrainian billionaire, after finding that there had been improper political interference from the US in the matter. Essentially, the case revolves around supposed bribes given in 2006 by Firtash and his associates to Indian officials to launch a titanium project – a project that never materialized. After a grueling 13 hour hearing, Judge Christoph Bauer argued in his final decision that the case was “politically motivated” and rested solely on the testimony of two anonymous witnesses that the FBI refused to show before the court (the Judge questioned if those individuals were even real). 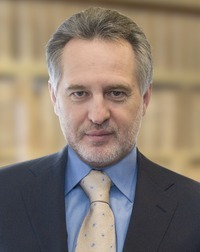 He then accepted the line of defense put forth by Firtash, and acknowledged that the United States “attempted to pressure the President of Ukraine, Victor Yanukovich, into accepting Ukrainian association with the European Union” and that “America obviously saw Firtash as somebody who was threatening their economic interests”, according to the New York Times. The importance of the decision cannot be overstated enough and should serve as mandatory reading for everyone willing to drill beneath the one-sided headlines our media has been so eagerly spoon-feeding us over the past year. The official narrative, which reads like the synopsis of a superhero flick, is that the freedom-loving people of Ukraine, fed up with the rights-trampling, money grubbing, Russian-loving President Yanukovych, peacefully took to the streets in the cold winter of 2014 to protest the government’s decision to postpone the signing of an Association Agreement with the European Union and its endless rivers of milk and honey. After some Fee-fi-fo-fuming from Yanukovych that led to the deaths of hundreds of protesters, the forces of good prevailed, and the former convict-turned corrupt President cowered and was forced to flee to Russia’s warm bosom. Democracy saved the day and Ukraine was reborn… only to attract the wrath of the equally nefarious Kremlin that launched a one-sided aggression of Ukraine, armed with tanks, deception and little green men, carving out slices of its territory and strewing its streets with the bodies of freedom fighters. Yet, for all its good versus evil idealism, that narrative simply does not add up, as it conveniently omits the millions doled out year after year by the West to foment regime change as well as the intense shuttle diplomacy done by high US officials, Congressmen and intelligence agents, in the run-up to the February 22 ousting of Yanukovych. John McCain, parachuted in the middle of the Maidan protests, trumpeted in December 2013 that “We are here to support your just cause”, while Victoria Nuland, Assistant Secretary for European Affairs, distributed cookies and buns to hungry protesters. Behind the scenes and across the aisle, Republicans and Democrats joined hands to pressure the Yanukovych government, first into signing the Association Agreement with the European Union and snub Russia, before blackmailing the President to step down unconditionally. Make no mistake, this is not your run of the mill the-American-government-is-bad argument; this is lifted straight from the takedown administered by Judge Christoph Bauer in the Firtash case. Indeed, the Judge saw the causation behind the correlation of events that led to Yanukovych’s fall and Firtash’s arrest. An initial warrant for his arrest was issued in October 2013, at the same time Nuland went to Ukraine to persuade Yanukovych to sign the EU deal. The request was rescinded four days later, signaling that the Undersecretary of State had obtained assurances from the Ukrainian president. It was only four days after the ouster of Yanukovych that the arrest request was renewed leading to Firtash’s arrest the same day the new Prime Minister, Arseniy Yatseniuk, was visiting Washington. Chillingly, even after the painful naming and shaming the US Department of Justice received from Austria, a country whose justice system is beyond reproach, Geoffrey Pyatt, our Ambassador to Ukraine renewed calls for Firtash’s arrest and extradition because “he must be brought to justice”. It’s worth noting that Firtash is not accused of any crimes and that Judge Bauer will most probably reject the appeal by US authorities. The Firtash case has unwittingly lent a veneer of respectability to the Russian propaganda machine, as it tries to paint the Euromaidan movement as nothing more than a stand-in for arcane American interests that sought to topple a democratically elected president. Is this how the United States of America, the so-called indispensable nation, should behave on the global stage? Blackmailing the legitimate leaders of sovereign countries into falling in line for the sake of winning one more geopolitical asset in a phantasmagorical battle with imagined arch-enemies of freedom? Judge Bauer’s decision should be lauded for holding a mirror in front of the ruthless, chaos-sowing despot that America has become. David Berggren is a Swedish security consultant currently based in New York.